There are certain experiences in our lives that stand out as pivotal moments; game changers even. What began as a conversation with my Higher Self looking for answers and direction became one of those experiences. I found myself Divinely guided in a beautiful love filled space that was nothing short of miraculous. I soaked in the experience and saw immediate shifts, doors open and inspiration flow. I AM more clear on my purpose and direction then ever before. As if a Divine upgrade or “restore to Divine Settings” took place for every unified aspect of me. In this miraculous experience a Process was born. I knew this was something for other Seekers to experience also. In one one One sessions this process has now assisted others to step into a more comfortable alignment with Spirit, Soul and Body. Soul Unification brings a merging of Spirit, Soul and Body into a unique Unification of Whole Being. With the process of Collecting up of all aspects of Self, Spirit and Soul and a releasing of Habit Patterns of All Life times and Ancestral patterns that can keep us in what I see as LOOP’S of repeat; I am observing dramatic positive shifts in myself and others! In this process a connection with the physical body is made. A Divine Relationship of YOU, your Spirit Soul to your physical body is made known. This is the time to be in Cooperation and collaboration with the physical body as never before able to do. To truly be the co-creator working with you body in WEll Being. Answering the call to bring this forward to many, The Soul Unification Process has been recorded and is a timeless body of work. You may participate at your convince and whenever you participate YOU are in the experience in present time. Assisting in the Co-Creation and the experience of this process is, The New Friends. A group of Beings within All That Is who are passionate about our Evolution out of The Fall of Consciousness and the Evolution of the Earth. The New Friends are just that, Friends! Friends who Know and love us. They will tell us straight what we need to hear and do so in fun “human” way that we get the messages. The do so from such a higher Dimension where just their presence creates change and a Divine Knowing within us. The New Friends so want us to have fun AND BE Living Our Divine Potential as Spiritual Beings having a Spiritual Experience in a Human Body. 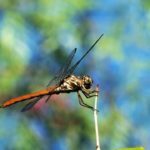 They will be participating and will deliver a channeled message unique to this time in our collective evolution. They are simply an experience in and of itself to feel and hear from them. There is a Synchronicity being experienced that is providing answer’s, possibilities and realities for those who have participated in the most amazing way. With your sign up below you will receive via email the link to the mp3 recording for you to participate in and download. Join in this Miraculous experience. You will Thank Yourself for saying YES. 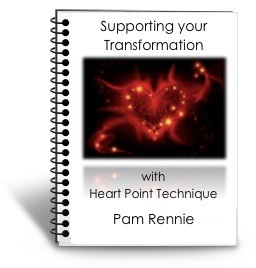 “Pam, my session today was absolutely life changing!! I cannot remember when I last felt this good and positive! I really love this vibration and feel that I ascended many levels today and it feels amazing! What else am I noticing? People are saying they feel Happy! They are manifesting situation and solutions to what had felt like problems effortlessly. Things are showing up in the most amazing way. The results of this Soul Unification are ongoing and continue even after the original session takes place. If you feel ready to more fully Remember Who You are and feel more aligned with your Truth and what you came here to do, this process is for you.